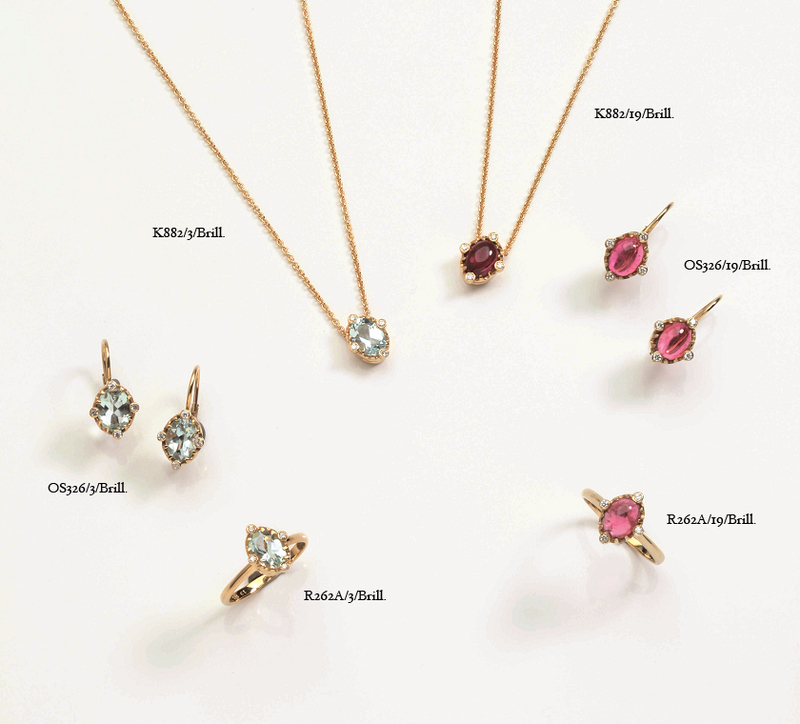 K882/3 – Collier, Aquamarin 8×6 mm oval, Brillanten 0,05 ct.
K882/19 – Collier, Rubellite Cab. 8×6 mm oval, Brillanten 0,05 ct.
OS326/3 – Ohrbrisur, Aquamarin 8×6 mm oval, Brillanten 0,10 ct.
OS326/19 – Ohrbrisur, Rubellite Cab. 8×6 mm oval, Brillanten 0,10 ct.
R262A/3 – Ring, Aquamarin 8×6 mm oval, Brillanten 0,05 ct.